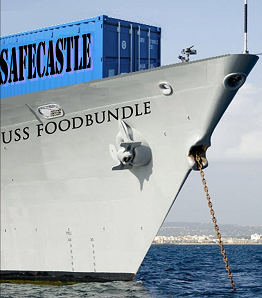 We just put together our latest version of the good old USS FoodBundle. This one we call the Comfort-Essentials Edition and it is good to sustain a survivor for 7-1/2 months (at 2000 calories a day). This may be the very best value package we've ever offered, based on the discounted price, variety range, and premier quality of foods in this 18-case bundle. It is an outstanding mix of foods and beverages that provide the full range of sustence that will not only keep you alive, but content and satisfied as well. Our sale price is less than $1800! Plus this package qualifies for our Members Mountain House Buyer Rewards program ($150 gift certificate back in the program's current installment). Sale price and rewards offer subject to change in the near future. Some other "new-again" listings at Safecastle: Yoders bacon (our all-time most popular product), Organic Green Coffee Beans in cans (the only way to effectively store coffee long-term), and a new favorite, our unique Mega-Protein Meat & Dairy Pack. Here are our Mountain House cans listings. If you find a sale price out there that you want us to match on a purchase, just email me with a link to that sale and I will get you a coupon code to use in our store for that purchase. Mountain House dealer regulations for the last several years have required that dealers sell MH cans at full list price except during limited approved sale periods. MH cans are also precluded from being discounted for our buyers club members due to those manufacturer restrictions--they must be sold at the same price for members and non-members. (MH cans are the only exception in our store to the members' standard 20% discount minimum.) That's why we offer the significant member incentive gift certificates for MH cans. Now, our ability to match prices allow us to give the best prices out there all the time AND give our loyal customers the incentive packages they have come to count on as they build up their preparedness enterprise. Additional FYI ... a brand new program is in the works that will provide our buyers club members with cumulative purchase rewards this year (retroactive to the first of the year), applicable to all purchases at Safecastle in 2012. Last year, we had the Cache-Back program. This year will be quite different and a lot more fun and rewarding. It's taking a while to get it all put together--we've had to hire a software engineer to get it done, but when it's ready, it should be awesome (and it may even go viral). 2011 Safecastle Freedom Award Winners! Thank you to all of you who put together an article or video regarding crisis preparedness in 2011 for our Freedom Awards contest. The collective effort and overall results are encouraging. We are hopeful that more and more will become publicly proactive and vocal about issues that are important to all of us in this arena. Clearly, the time is now for preparedness. We are seeing strong growth in this field, as well as a good deal of passion revolving around readiness, self-sufficiency, and freedom. Remember--each one of us is a torch-bearer. Carry the flame high. 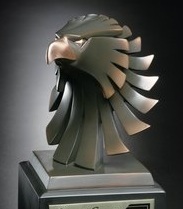 Each of the finalists as submitted to us from the participating blogs and websites will receive an engaved Freedom Award trophy, recognizing their achievement. Congratulations to all! Testimonial for Safecastle: "a ministry to those trying to prepare"
I certainly appreciate all the feedback we receive from our customers. It helps to know what we are doing right and where we can improve. I am in the military and first heard of Safecastle about 3 years ago while stationed overseas. If memory serves me correctly I found it at Survival Blog. At that time I placed some orders and had them sent to my mother’s home back in the States. Upon returning to the U.S., I saw the Safecastle advertisement again and the membership offer. I was quite skeptical to be honest because I figured the “lifetime membership” offer was too good to be true and if I paid the nominal amount for the membership, when I got ready to use it Safecastle would not be around. I decided to take a leap of faith and join what I hoped would not be a fly by night enterprise. Soon I began to order products and am absolutely amazed!!!! The service is incredible; each time I have contacted Mr. Vic, I get an immediate response. He has always been kind and considerate and very professional and stands behind his word. Safecastle is a LEGITIMATE company. The membership perks are phenomenal. Because we are at such a critical juncture in our world, preparedness has become big business and there are a lot of folks in it just for the money and provide substandard products and services. I believe Safecastle is really a ministry to those trying to prepare. I am still in the military and Safecastle continues to help me prepare for the uncertainties of the future. I am not paid by Safecastle nor have I been asked for this testimonial. I just want to reach any who are skeptics and don’t believe Safecastle’s claims. It is truly a first rate outfit, selling quality products at a reasonable price, owned and operated by a man who has a servant’s heart. John Williams from Shadow Government Statistics sees no way to avoid hyperinflation, as some of the warning signs are getting worse: rising real inflation rates, massive Fed monetization, foreign nations dumping dollars, and the US losing its triple A credit rating. "Your Wages Will Be Cut in Half"
Must read from Video Rebel's Blog: "Translating Zero Hedge: Your Wages Will Be Cut In Half"
Excerpt: "... after the 2012 elections the Russians, the Chinese, Iran, Venezuela plus their clients states and a few other nations can and will force a devaluation of the dollar by refusing to accept Federal Reserve Notes in international trade. If Americans balk, China just has to dump a hundred billion dollars and buy commodities driving the price of food out of the reach of WalMart shoppers. Of course I realize the Chinese will just be doing what the bankers want them to do. "An international conference will be held at which the dollar will be devalued by about 40% as predicted by Bernanke. This will complete that 50% pay cut I have been predicting. "The Chinese will have dumped most of their dollars before the conference so that their economy will not be harmed by a dollar devaluation. If Americans can’t afford to buy Chinese products, China will just sell them to people whose currencies were revalued upwards. "I would suggest you buy storable food, silver coins (not collectibles) and household items that will just increase in cost." 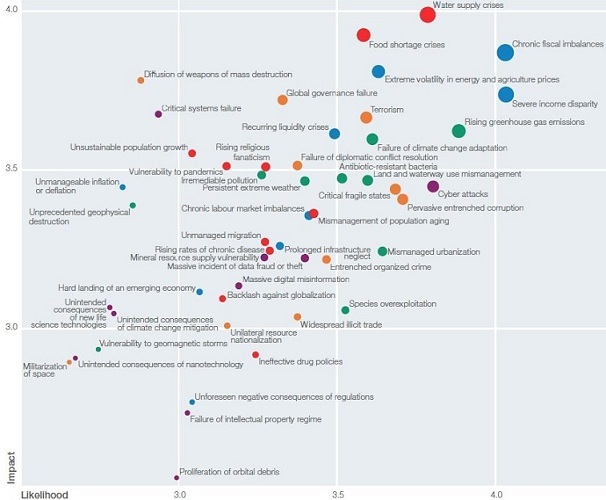 The World Economic Forum's Global Risks 2012 report is out. There's plenty to set your hair on fire about. Check the interactive report here. Some of the biggest concerns: Chronic fiscal imbalances, water supply crises, severe income disparity, and food shortage crises. Last Two Days of 25%-Off Mountain House Sale; Brand New Variety Available Today! We've got the apples back in time for those who didn't get some the last time around. There are still some cases available at the factory which we will have shipped directly to you. Take your pick: diced apples or diced apples w/ cinnamon. And just in time for the end of our sale: the brand new, delicious Mexican Style Rice & Chicken. As always with our MH sales--we are offering the maximum allowed discount on all MH can varieties: 25%. As always--it all ships free to the continental US. As always, we are offering buyers club members special reward gift certificates for their MH cans case purchases ($50 for every three cases). And this time around, we are also offering an early-bird option to the rewards, while supplies last. Even for optimists, there’s not much to be pleased with these days. Fact is, this is clearly the time to be serious about your preparedness planning and activities. How much would it take right now to pull down this whole teetering mess and force us to find out the hard way how cooperative, resourceful, and committed to each other Americans really are? (Or would that be committed to "what's mine"?) Clearly, what we have is a plateful of risk, served up flaming hot. But at this point, it’s still just risk. It's NOT the time to be panicking, locking up with worry, or freezing in the spectacle of the growing headlights of the oncoming tractor trailer loaded with trouble Mad Max-style. Right now, it’s enough to recognize that things are getting kind of dicey out there in the world. This is no longer a game of imagining what MIGHT happen IF "such and such" was to happen. Fact is, it may just be that a whole lot of "suches" are jamming up in the doorway right now, needing just the right jolt to come surging through your livingroom. For those who have been quietly, systematically putting aside emergency food and supplies for a while, you're justified in momentarily embracing that twinge of vindication as more and more about economic chaos, food shortages, buyer panic, rumors of war, protests, strikes, riots, and revolutions around the world occupy the headlines. No one enjoys seeing what is transpiring around the world. Malnutrition and starvation in various populations are still the reality … and circumstances are indicating that may multiply in numbers impacted. There’s a real risk that pain and suffering among millions of innocents is only beginning, given the trickle-down effects of economic collapse, should that come to fruition. International tensions, political incompetence (or worse), corporate greed, natural disasters, crop diseases, short harvests, water shortages, skyrocketing energy costs, and budding public panic are now colliding in a harsh cacophony that will continue to resonate for years to come. It's all beyond what any individual can impact in a positive way. You can certainly still be community-sensitive, but the important thing to do now is to try to take necessary steps to look out for you and yours. The longer you wait, it becomes exceedingly more difficult and costly. Prepare by stocking up on good storage food that will keep for decades. Put it away and out of sight. The same with water, purification resources, guns, ammo, precious metals, cash, and whatever else your circumstances require. Publicly, the responsible approach to the situation before us as a civilization is to economize and conserve limited resources--particularly in the realms of energy and food. Nonetheless, if you have on hand the resources to satisfy and protect your loved ones—you are going to be ahead of the curve. In wealthier societies such as in the U.S., folks who have done nothing to this point to mitigate their household risks vs. energy crises and runaway food inflation and/or shortages now are in danger of having their backs against the wall. It's a tough way to wake up and to have to just start the journey. If this is you, you likely will want to break into a sprint. Regardless, if you're in that position--do what you can before you can do nothing at all. For those somewhere else on the preparedness path--just keep on keepin' on. Try to keep your momentum going--nothing more, nothing less. Whoever you are, whatever you still need to do to get to a satisfactory point of equilibrium for your situation--this rule always applies: Stay Cool. Panic will increasingly become the default option. But it never is the smart choice. These days, the smart money is investing literally in preparedness. The crisis preparedness market niche is a cousin of the insurance industry, sharing a common peace-of-mind forebear. We are there for folks to help mitigate some of the risks we all face in an uncertain world. There are never guarantees, but in spite of the ever-present doom-sayers, our world is, all-in-all, a pretty decent and safe place to call home. In a nutshell, don't sweat the little things. My single best, always-relevant, practical suggestion for folks new to preparedness: take decisive steps that are not sole-purpose or specialize for one specific threat, that is unless you have more money than you know what to do with and you have no one else to answer to insofar as how you are spending that superfluous cash. - Buy emergency storage food that is genuinely edible, that you will eat, and that you will enjoy. Make sure it is canned for long-term storage and that the brand and variety is of proven quality. Don't buy stuff that you will have to throw away at some point and replace with more inedible, cheap storage food or grocery store sale items that will spoil quickly ... and surely don't buy stuff that will you will not use before its shelf-life expires. You always will need food ... buy some to store away--stuff that will store well for many years and that you can go and eat and enjoy anytime you need or want to. 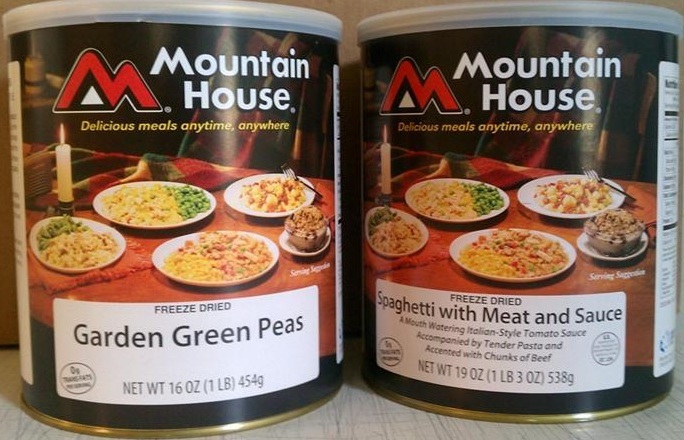 Did you know that freeze-dried food such as Mountain House will remain delicious and nutritious for many decades? Very true. Mountain House is the number-one choice for those serious about preparedness. It will always be there as a resource for you whenever the need arises, whatever the scenario. - If you are building a new home or addition and there is some part of you that feels like you ought to have a safe place in your home to go to in the face of threats, then by all means, take advantage of that best-time opportunity to build-in a dual-use safe room or shelter that will protect your family from natural or man-made disaster. Besides serving as an emergency refuge--shelters and saferooms make for ideal storage spaces and even work-spaces or spare bedrooms. - Do you enjoy the great outdoors? Do you hike or camp? Many of those outdoor pursuits make use of equipment that can double as critically needed gear in the event of disaster. Keep that in mind when you make those recreational purchases, as you may just want to adjust your purchasing decision to cover all your needs. - How about investing in the means to operate some of the most critical appliances and conveniences in your home in the case of blackout? Most of us have had the experience of having to do without power for some extended period of time, risking the loss of all the food in our refrigerators. A generator (propane powered or diesel or gas powered) can be had for a very reasonable amount of money. Consider also a professionally installed transfer switch in your home that allows for that generator to safely power at least parts of your home. This makes sense for not only shorter-term power outages, but is a life-saver in longer-term crises. Similarly, solar and wind solutions are becoming more economical, practical and available. The list goes on and on. The main point here is—it’s time to approach preparedness logically, calmly. Be serious about the need, but try not to get too worked up about any particular threat of the hour as yet. The risks are many, but your opportunity to mitigate those risks is still before you. Customer Finds 29-year-old Mountain House Canned Food to be in Perfect, Delicious Condition! Submitted by Safecastle customer Ed Perry, January 7, 2012: "While up North I opened two cans of Mountain House Freeze Dried food ... a can of freeze dried pears and a can of freeze dried chicken and noodles. Bear in mind these were almost 29 years old and I had taken no special care in storing them. We ate all of each can. They were just as good as the day they were packed ... absolutely no degrading of any kind ... color, texture, taste were perfect. What a quality product! Mountain House says their freeze dried food will store for 25 to 30 years but I am betting that they would store for much longer than that. "I have probably 60 cans of Mountain House purchased around 1982-83. I opened these two to give me an idea as to how they had fared without any special storage. I am totally impressed with Mountain House. I bought a lot of it that we used for back country canoe trips up in northern Canada and these were just left over. Actually I had forgotten about them and ran across them just by chance." Oregon Freeze Dry Inc., in business for 48 years, is the world's technological leader in freeze-drying technology. Club member bonus awards during our current 25%-off sale. 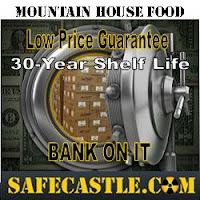 Safecastle has a spotless 10-year record: A+ BBB rating, 0 conmplaints; satisfaction guaranteed. 2011 is in the history books. Our Safecastle Freedom Awards contest is in the final stage of deciding who will receive the contest's valuable grand prizes, including two Katadyn Pocket water filters and two Excalibur 9-Tray Dehydrators. And we want your help in making those decisions. From ModernSurvivalOnline, submitted by RobNPhx: "A Survivalist Mindset Amongst Apathy." From Bison Survival Blog, submitted by D. Ritchey: "Threat Analysis: Bikers"
From Survivalblog, submitted by K.M. : "What is a Well-Stocked First Aid Kit?" From Rural Revolution, submitted by Maria S.: "Preparedness for Young People"
From Survivalmonkey, submitted by Bison Forge: "Building Better Bugout Bags"
From ModernSurvivalBlog, submitted by TripodXL: "Situational Awareness and Your Personal Protection"
From SFTFblog.com, submitted by gat31: "Growing Vertical Veggies"
From SurvivalistBoards, submitted by Mtnman Mike: "Year End Report about What Happened Last Summer on my BOL"
From Survivalmonkey.com, submitted by Falcon15: "Survival and Prepping - The Basics"
From SurvivalistBoards, submitted by ia woodsman: "PSK Survival Exercise part 1" (this video has two follow-on videos, but we are only judging part 1 for this contest). Below, we have posted all the articles and videos so you can easily scroll down and view all the entries. We are limiting images posted here to no more than one per article. Some articles have many more images that you can see in their original posts linked above. Thank you so much to all the contributing websites and to all the good folks who submitted entries for consideration in this contest. I think we all win as the result of having been exposed to so much survival-related wisdom and insight from all of you. Please let us know which of these articles and videos are your favorite by posting a positive comment under your selections. (You can vote anonymously.) Your comment will not appear immediately, so do not keep commenting trying to view your comment. We have editorial approval set-up here to protect from spamming. We will approve all positive comments to be seen, but it might take as long as a few hours for your comment to appear. Your comments will assist our judges in making the final prize-winning decisions. Freedom Award Finalist: "PSK Survival Exercise part 1"
Freedom Award Finalist: "Survival and Prepping - The Basics"
Freedom Award Finalist: "Year End Report About What Happened Last Summer on my BOL"
This summer - from June to about Nov. began on June 1, 2011. On that busy day I first picked up Glen from New Zealand at the Greeley, CO bus station at 8:30 A.M.
We first went to Anderson's salvage yard to take a large roll of old metal fencing I had obtained from a neighbor in Greeley. I wanted to show Glen one of the best and most interesting sites / sights in town. At least I think so. I only got eleven dollars for that heavy roll of fencing though. And I also took Glen around town to get a tent. We went to the Super-Walmart and a couple sporting goods stores. I went to the biggest one first which that sporting goods store had many dozens of guns. Even a couple AR's as well as other guns I was sorta surprised to see. I thought Glen would buy a gun but not sure how he would get it back to New Zealand, maybe FedEx? Glen only bought a 500 round box of .22 ammo which he and Steve shot quite a bit on my land in late July. I picked up Steve from the bus station at 9 p.m. Steve had ridden a bus from Washington D.C. since he lived in southern Maryland. 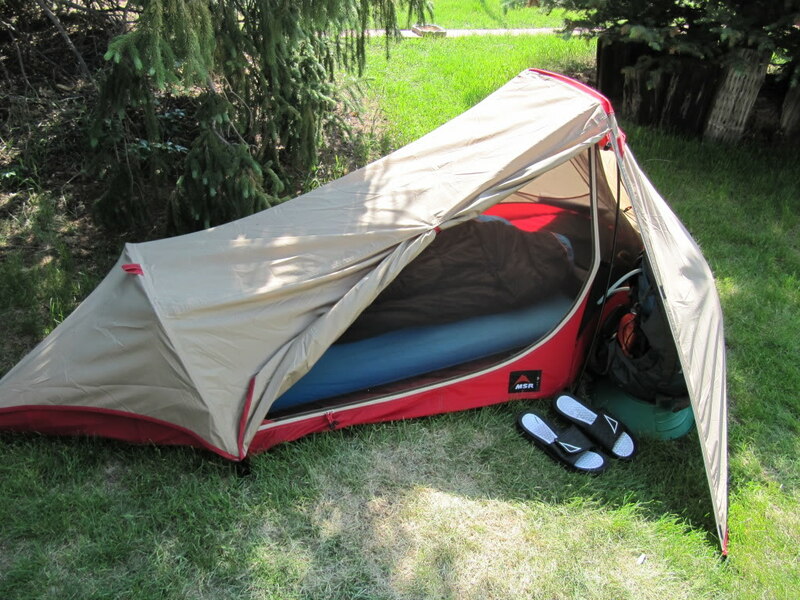 And Glen and Steve camped in my backyard in Greeley for almost a week until we went up to my mtn place on June 7th. After Glen, Steve and I went to a dollarstore and the Super-Walmart and bought over $400 worth of supplies, mainly food then we built a wood box in the back of my truck and loaded it. I did not buy anything that day since all winter I had slowly been buying canned food etc. etc. on sale. This article is heavy on images and they are integral to the article, so please go here to view the entire article. Freedom Award Finalist: "Growing Vertical Veggies"
Rangerman has been kind enough to let me write an article in response to those of us who would like to have a garden, but don’t really have the space. So I have been looking into alternative gardening methods to help us all out. I’m going to give you a few methods I have found and maybe you can get some ideas. I live near a company called Vertigro. They do hydroponic gardening. Like its name suggests, you grow vertically. Now this is a great method for the space challenged, however it can be pricey to do the initial set up. So feel free to research that method if you’re budget allows, but here’s some more economical yet workable options. One method I have seen is PVC pipes and chains. You hang two chains roughly 3 to 4 feet apart (depends on space) and you take 4″ and 6″ pipe, cut out the top, and drill drain holes in the bottom. Then put end caps on that have a hole drilled in them. Attach hanging hooks and wal-lah, you have “rows” for gardening. Top row is for your smaller stuff, radishes, butter crunch or romaine lettuce, bean sprouts, herbs, etc. This is also a way you can start plants for later in ground if you are in colder regions and can’t put plants in the ground yet. Middle rows will hold hanging or vining plants, peas or beans. Bottom layer is for items that has bigger heavier items, tomatoes, cucumbers, squash, etc. The bottom layer(s) is better for the 6″ pipe. Another option is trellis growing. I found a long window type planter at a thrift store for 2 dollars. I filled it with dirt, planted a squash, zucchini, lima bean, and pea plant. Set the planter in front of a strip of lattice board and let them do their trick. As they grow, guide the plants up the trellis and they will be great. Not to mention all those plants make a flower first so the nosy neighbors will just think you have nice flowers. You could also use one of those little arch things that people have at the end of their walkway and plant beside each foot of those too. If you don’t have lattice board, you can take eye hooks, put them in the ceiling, then wrap twine, floor to ceiling around your planter a couple times and use that for guides as well. The other day I saw strawberries in a hanging basket, and we’ve all seen the topsy-turvey tomato growing method. Hanging baskets and pots are always options and can be used in conjunction with any of these other methods. I even had a friend of mine plant seeds under his window AC unit. (He lives in a 1 room apt.) Remember you’re not trying to feed the masses, just give your family a few fresh items that will help you survive if stores are closed. Just a side note here for anyone doing gardens this year. Seeds can be expensive so anyplace you can cut corners always help. Go to your grocery store for your bean and pea plants. In the dry bean aisle, they have several options. All those beans that are not broken can be planted. I found a 9 bean soup bag. Most of those were intact and were plantable. Lot cheaper to buy a 1.49 bag of peas then 2.00 an ounce envelope of peas. Another option I found was the dollar store. At my Dollar Tree, they had seeds that are too late to plant this year for my region on sale for a quarter a pouch. My seed bank for next year is filling up nicely. These can be kept in a cool place or even in the fridge or freezer for next season. Also only plant what you need. Seed prices keep climbing much like gold and silver. I’ve limited my garden to 4 plants or less of each item. We won’t eat anymore than that so I saved the rest for next year. Happy gardening everyone and feel free to add ideas for those with very little growing space! Freedom Award Finalist: "Situational Awareness and Your Personal Protection"
In having a personal protection plan (and you do have one, whether you’ve thought it out or NOT), before you make a personal protection plan you have to ask the following question… “What is a survivalist?”. Now this will sound obvious after the question, but if you get up and manage to get bathed, fed and make it to work without dying and get home the same way; if you can get up, find breakfast, make it to school and back without dying, are you a survivalist? Of course, you are. You survived! That is the definition of survivalist in its simplest form. So, in essence, everyone is a survivalist to some degree or other and is differentiated only in the degree of survivalism that we embrace. This would come as a great surprise and shock to those who would claim to not be “one of THOSE survivalist people”. Survival is one of the strongest elements in our human nature and perception of life around us. Some think it barbaric to address such an issue and others will embrace it. I embrace it. The freedom to survive, the RIGHT to survive is, as far as I’m concerned, a God given right, or if you are so inclined, a natural right. Anyone that stands between you and your survival implies that they don’t care if you live or die, they don’t care what your quality of life is, and you are of no consequence or meaning to them. It becomes a key philosophical mountain that you must climb and conquer conceptually, to have a basic survival MINDSET, with which to use for you and your family’s survival. If you do not come to a point where you think that you have a right AND an obligation to your family and self to survive, then you will probably not survive, except by luck, and if that’s how you manage to survive, you may not be happy with the outcome. So, what does a personal protection plan encompass? First, have a plan. A proper plan encompasses situational awareness, physical and mental preparation, and proper equipment and execution (tactics). The equipment is easy. All you have to do is buy it after researching what is best for YOUR situation. Situational awareness is a mindset of just being aware of what is around you and the dynamic circumstances related to you. Expertise is also something that you can buy, sort of, but will require practice, whether it is a classic martial art or some other training by either getting DVDs, or books and/or professional instruction. You have to have the discipline to accomplish it. Mental preparation is also something you can get training on, or read books and listen to CDs/DVDs. It is something that takes place inside your head. Your psyche MUST change to the point that you understand (in advance of needing it) and will do whatever it takes to survive and protect you and yours. It will require getting past the lame, egalitarian, sheeple crap that you are taught in school, from liberal academia and society in general, about not hitting, not fighting back and just being a cooperative little sheeple in general. Execution, both mental and physical requires practice, practice and more practice. Practice your plan mentally and brainstorm scenarios as well as hone the physical skills needed to have reasonable physical prowess and execute the appropriate skill sets successfully. The number one part of a Personal Protection Plan and probably the most difficult to achieve is situational awareness (SA)? Simply put it’s your situation and your awareness of it. The best way to deal with trouble is to avoid it in the first place, which is the purpose of SA. No trouble, no problem! Next time you go to Wally World, perform this exercise. Sit way out in the parking lot for a while and watch how insipidly and inanely people do things. They will walk down the middle of the driving lane, talking on their phone, completely oblivious to the 8 cars they are holding up, right behind them, motors running. Or they will just walk out in front of oncoming cars, pedestrians have the right of way don’t they, and just walk on in complete bliss and oblivion. No one will look around and they won’t look behind themselves to get some idea of what their situation is, day or night! They will mosey on and never look back. How dumb. Here are two real-life examples of SA or the lack of it. A young Wally World employee was walking out to her car after work, in the dark, and you can see on the parking lot video as she walks along, oblivious to all around her. In the dark a guy runs up behind her as she nears her car and abducts her in her car and as you can probably imagine she was found dead some days later. I’m not blaming this on her, it is solely the killer’s fault for killing her, but she does bear responsibility for her own well being, or lack thereof. This next one is personal. My wife calls me one morning from work and asks me to go home at lunch and see if her purse is there. I do and it isn’t, the purse is gone. After hindsight and thought, we came to the conclusion that when she dropped off the baby (you park, run in, throw the baby through the window and sign the paper and leave), someone in an adjacent parking lot watched her at daycare and noted she did not have her purse with her, ran over and took it out of the running car. Wow, how much worse could that have been? Less than two minutes. Some people are nothing but trash and you accommodate them (by being easy prey) at your own peril. Others are very opportunistic and will stab you in the back, literally. You will have to learn to be steely hard and be aware of subterfuge and cunning when dealing with everyone, even a “defenseless” mother and child. Beware, who’s watching you? That’s scary isn’t it? Don’t just daydream and walk along…quit it! We all do it but when you make an active personal protection plan, your ways of looking at the world change and your mind changes the way it functions. You develop a cognizance of the world around you. Some of the things you need to think about or be aware just don’t occur to you because you’re not a criminal by trade. I remember someone said something about having their rural house broken into and they performed some serious security upgrades to the house. The next time the crooks just chopped a hole in the roof! I remember thinking to myself, “why would they mess up the roof that way”? Oh, they’re criminals and don’t care about the mess they leave. To deal with the criminal world around you, you have to think like a criminal. Also, listen to the “inner you”. The INSTANT a thought goes through your mind that, “that doesn’t look right”, it probably isn’t. You should do a 360, both mentally and physically right then, just stop, spin around and reassess your situation (I don’t mean bust a dance move or behave in a manner that would cause stress to people, just stop, look at your watch, dig in your pockets like you’re looking for something ALL the while looking around you and taking it in). You should look around and watch people. I never park by the door at the big box stores. I need the exercise and it lets me overlook the parking lot and see who’s watching whom. What looks odd, out of place and not right? Be observant, it is a learned habit. It should become second nature to look for oddities in people’s behavior. Not to be sexist, but women are taught to be nice and tolerant. They will climb into a locked, soundproof, isolated, metal box (elevator) with someone that gives them second thoughts, but they don’t want to be impolite or rude, even though they get bad vibes they do it anyway. Ladies AND gentlemen, quit it! In the military it’s called “watching your six” (your six o’clock position, directly behind you). Be aware of what and whom is/are around you, with out fail. If it doesn’t look right, feel right or you’re just not sure, then BREAK OFF THE ENGAGEMENT (be impolite) with the situation so you can back up, observe, consider the facts and reassess the situation. The key to SA is to stop, look, assess and then act on that information. The better you get at this, the more likely you are to ACT in advance of some event, instead of REACT to it as it occurs. Which do you think is to your advantage? Remember, the best way to use your Personal Protection Plan is to avoid using it with situational awareness. Freedom Award Finalist: "Building Better Bug-Out-Bags"
The Bug-Out Bag is probably the first thing that you think of when you hear the word ‘preparedness’. Sometimes masquerading under different names such as a BOB, GOOD, NICE, INCH, or whatever else you want to call it, we are talking about the same thing here. A Bug Out Bag is usually designed to get you out of an emergency situation and allow you to survive self-contained for up to 3 days. A lot of people plan their Bug Out Bag to sustain them for much longer than that, but there is always a limit to what you can carry on your back and a 3 day target is a good place to start. Some questions that are asked frequently run along the lines of: “How do I build an emergency kit, or BOB?” or “How do I know what to pack?” This article is going to help answer those questions. The process of building a Bug Out Bag can be divided into five easy steps. 1) Determine what you want your BOB to do for you. Step1: Determine what you want your BOB to do for You. You need to figure out the POU, or Philosophy Of Use. My BOB is designed to support me for 3+ days in an emergency situation, in which I might face hiking over long distances, the need to purify water, procure food, and defend myself against predators both two legged and four legged. From this perspective you will first have to do some research in order to find items that can allow you to perform these tasks. Picking the tools that can provide you with food, water, shelter, and fire is a long process. You need to consider factors like price, weight, quality and function, and determine what tools serve multiple purposes in order to reduce the amount of tools you carry. I suggest that you try to check out equipment like clothing, tents, knives and other gear in a physical store before you purchase them, or check out what equipment friends, family or professionals that work in your area use. After you decide what items you want to get, you still have the process of finding the items and buying them. You might already have some of the equipment needed or you might have to buy the equipment. Make sure that you check with your family, friends, eBay, and your local flee market before you buy a piece of equipment. You can often save a lot of money by doing some research. Let's look at how we can address each of those needs. The concept of layering is very important here, but I don’t have the space to expound upon it (darned word count). A quick internet search will help you figure it out. As a rule I try not to use any natural fibers other than wool in my clothing choices, just to save on space and weight. I am always found wearing a hat of some kind, and in severe cold I will sleep with a watch or knit type cap on. My best advice on clothing, as in everything else is to be the “grey man”, and try to blend in with your surroundings. Fire is very important to survival. With it, I can dry my clothes, keep myself at the critical temperature of 98.6F, boil water, cook my food, keep predatory animals at bay, and raise my morale. You get the point, it does a lot. I keep multiple disposable, adjustable flame lighters stashed throughout my gear. Going hand in hand with fire is a source of artificial light. This part is both the easiest, and the most fun. Be sure to read lots of reviews on the light that you plan to buy. Go for high output LEDs, but keep in mind that flashlights are like computers, a better one is born every minute. Your goal for water is to have 1 gallon per person per day. Water is heavy, so having a way to treat it instead of carrying all that you may need is important. My water treatment plan is redundant like most of my other important items. This is an area in my kit that needs improvement, I will be upgrading to a MSR Hyperflow Microfilter soon. As a back up, I always carry Auqamira tabs. Coffee filters, or a bandana can go a long way to extending the life of your filter, and are multi use items. Food/ Cooking Regarding food, simple, light weight, and filling are the only requirements that I have. The three big types of food that you are likely to find in mine, or any other persons BOB are MRE’s, Backpackers Meals, or Mainstay Rations. Because my main ration is self contained in either MRE or Mainstay form, I do not have to do a lot of cooking. But when it comes time to do some cooking of supplementary food sources, the lightest weight solution that I have found is a roll of aluminum foil. Just wrap your food and pop it straight on the coals. Another consideration is weapons. Obviously a firearm of some sort is best for this, though not in all situations. I will not go into specifics about what type of gun you should bring because that is hotly debated and really a personal choice. Take what is comfortable for you. While far from a survival priority, something that needs to be addressed is your pack. While it may not be a necessity, it sure is a nicety. Your options here are pretty much endless. There are an amazing number of resources out there that can help you determine what bag to get for your needs. I recommend your bag meet these criteria: comfortable and light weight, durable and big enough to carry all of your gear, and finally it has to blend with whatever environment you plan on being in. Please remember that while there are a huge variety of fantastic bags out there, you do not need to get too wrapped up over what bag you use as long as it works for you. After you have put everything together, you still have to test the kit so that you actually know if it performs as intended. Taking the bag for a longer hike in your local terrain can give you the chance to practice skills and see what items are really necessary. After you have tested your Bug Out Bag, make adjustments to the setup as needed. After you have adjusted, take it out for another test run, and repeat the revision process as necessary untill you are happy with your final setup. Remember, the items contained within may be the only items that you have to survive with in the future. This article is written to give you some ideas of what factors to consider when building a Bug Out Bag. The important thing is that your BOB reflects what you need and is designed for your particular situation. One size does not fit all; this is something that applies to all kinds of crisis preparedness and survival situations. Others can often provide good suggestions and feedback, but in the end you have to make the decisions for yourself. Freedom Award Finalist: "Preparedness for Young People"
All over, young people are waking up to the precarious state of the world in which we live, yet are still living at home under their parents’ authority, and those parents do not agree that it’s important to be prepared. So I am writing this article to you, young people who want to prepare yourselves. What can you do to be prepared at this stage of your life? I’ll start by telling you what preparedness means to me. Preparedness is being adaptable and resourceful, keeping oneself and those who are precious to one safe and happy. I suggest to you that whatever your plans are, they should include your family. We need our families and they need us. So realistically speaking, your first option should not be to grab your bug-out bag and disappear, leaving your family behind to face whatever comes. Your family members can be your greatest assets, even though they may not look like it right now, and you can be theirs. If you are hitting a brick wall when you talk with your parents about preparedness, it could be because they do not think “normal” people are prepared, that it’s only for weirdo extremists. If that’s the case, tell them the government wants them to be prepared! Show them the website ready.gov. It’s sponsored by the Federal government and explains why and how to prepare. It’s a nice, mainstream, non-weirdo-extremist source of information. Take every opportunity to learn survival skills. Learn to light a fire, to pitch a tent, to hike through a valley without leaving any sign that you passed. Learn to break camp in silence. Learn archery. How do you find a teacher for skills like these if your parents are not interested? The Boy Scouts and Girl Scouts are wonderful programs for learning things that you can keep with you always, in your head. No scout troups in your area? Getting a little too old for that? - Get a Boy Scouts manual, it has the same instruction you’d get as an actual scout, though you’ll have to practice on your own. Then there are wonderful books out there to teach you more. Search “how to become an outdoorsman” on Google and you’ll find books, on-line courses, even college extension courses to teach you. Make sure to involve your parents in this. They should know what you’re doing, and who you are doing it with. Set their minds at ease by being up front with them so that they don’t fear for your safety. It’s what we do, we parents; we fear for our kids’ safety. It’s hardwired into us. But if you tell us what’s going on and we don’t feel like you are sneaking around or tricking us, we feel much more at ease. Once you have gained skills, see if your parents will allow you to teach them. Offer and see what they say. Your family’s financial resources are probably already committed somewhere, so try to suggest ideas that do not require a big outlay of funds, like a day spent hiking at a nearby park, with everybody carrying part of a picnic lunch, to start things off. In the survivalist world, you will hear a lot about stockpiling food against future scarcity. It’s one of the easier ways to begin preparation and is where a lot of people start. But your funds are limited, and you do not have the right to insist that the family set aside a chunk of the family food budget OR the storage space in the home for food preps. Here are some things you CAN do. First, change how you eat. If you are saying “This family really needs to eat more rice and beans because you can store them long term,” but you are consuming all the snack foods your parents can bring home, and you complain when nobody puts more soda pop in the fridge and you have to drink it warm, you are sending mixed messages. If you are asking for and eating fruits, vegetables, and, yes, rice and beans, then you are showing that you are willing to make changes. Teaching people works much better if you show them how to do things and not just tell. So show that prep style food can taste good. Try making a meal of Spanish rice and refried beans. I’ll get you started: In a pan with a lid, mix 1 cup of rice, ½ cup of salsa and 1-1/2 cups of water. Put on the lid and turn on the heat to medium first, then down to low in a few minutes when the steam starts coming out. Meanwhile, in another pan, mix 2 cans of refried beans with a little bit of water and heat it up. Warm up some corn tortillas (or better yet, make some yourself, but that’s a lesson for another day). When the rice has cooked for about 10 minutes, take the lid off and give it a stir. If most of the liquid is gone, turn off the heat and put the lid back on for another 3 minutes or so. If there is still quite a bit of liquid, keep the heat on for another few minutes and check again. When it’s cooked, serve up the rice, beans and tortillas with some more salsa. This is a tasty, wholesome meal, and all of it can be made easily with foods that most preppers consider good storage foods. Next week, try another meal that you can make that’s delicious, healthy and prep friendly. Once you have gained your family’s confidence, they may be more willing to allow you to make some choices on what food the family buys at the grocery. At that point, you can suggest buying larger quantities of foods to save money. Teach your parents to store the food properly (if it goes bad and is wasted, it was not a good deal in the first place). Another area of preparation is your career. You have a lot of choice in what you do for a living as long as you keep your options wide open as a young person. There are not too many careers I can think of that will be completely useless after “the end of the world as we know it” - maybe politics! - but certainly some are going to be more needed than others. People will always need medical care, homes, food, and good water. They will always need to learn, and they will always need beauty to inspire them. Think in terms of what you can do that will improve other people’s lives as your career, and you will always be needed. Sometimes the world looks like it could fall apart tomorrow. But chances are, it won’t; people have been thinking things can’t possibly get any worse for centuries, yet time continues on. In other words, be ready for the worst AND the best. You may be around to have a career and a home and a family. You may even be around to see your grandkids. So while you are thinking of how to be ready should the power grid fail, or for there to be no food available at the stores or for martial law to be declared or for pandemic or any other disaster you can imagine, keep doing what you need to do in case it holds off for a year or two or five or more. Learn all the skills you can, and practice them. Take the ACT or the SAT and apply for college. Get a summer job and save some money. Become an excellent driver. Be healthy. Exercise. Have fun. Keep yourself and your friends safe. Not one of these things will hurt you if society goes down the toilet - and each of them will help you if it doesn’t. You will be 18 soon and then your choices will open up wider. Until then, do what you can within the bounds of what a young person can and should do within his or her family constraints. Learn. Your sharpest tool can be your mind. Freedom Award Finalist: "What is a Well-Stocked First Aid Kit?" We've all heard the admonition: “You need to have a well-stocked first aid kit!” The first step to following that advice is an understanding exactly of what “well-stocked” means. So there are guidelines to help us, but we often want additional advice. Indeed, when I am teaching my CPR/First Aid classes, I am often asked. “What kind of first aid kit should I have?” As a general rule, your kit should match your training, plus a little extra. When I sell first aid kits, I always ask the prospective purchaser two things. First, I want to know what kind of training they have received (and how long ago). Then I ask the big question…. If the answer to this question is no, or if they haven't been trained in first-aid, then I sell them your basic over-the-counter 150-piece first aid kit. These kits are available anywhere and are little more than boo-boo kits, to fix life’s little cuts and scrapes. As an example of this type of kit is available from CVS Pharmacy and manufactured by Johnson and Johnson™; its self-described purpose is for the treatment of “Cuts & scrapes; Minor burns; Pain & swelling; Itch.” This 170-piece kit has 138 Band-Aids™, a few ointments, pads, wipes, and little else. If you were counting on this kit to save someone's life in an emergency, then both you and the victim are in deep kimchee! Preparedness and survival are our ultimate goals, so we need a larger variety of supplies that will actually be useful in a real life-or-death emergency. It is my hope that more people start investing in kits with more than just Band-Aids, and here's why. If you've taken a first aid course in the last five years (and if you haven't, shame on you), your instructor should have told you that after you've taken care of the victims’ primary needs (their ABCs - airway, breathing, and circulation), you need to look after their secondary needs (serious bleeding, shock, and spinal injuries). Your first aid instructor should have prepared you for the worst case scenario: when advanced emergency care is either delayed or unavailable, and you are the one who must provide extended care to the victim. In addition to acknowledging what you know, consider where you live and what you do for recreational and vocational activities when gathering your supplies, a well stocked first aid kit should reflect your geographic region, activities, as well as, how many people you may need to treat. Of course there is a basic minimum for every occasion, but if it’s a kit you are building for a boat that sails off the coast of Florida, do you really need a “snake bite kit” or a “tick kit”? If you live in the desert southwest, do you really need vinegar for jellyfish stings? You wouldn’t take an eight pound “Mega Trauma” kit while backpacking, but you would certainly want a comprehensive kit at a survival retreat. A blister kit would be as out of place on a boat as an ice pack would be at the North Pole. Just as there is no single gun to fit all needs, so there is no one kit that will fill all medical necessities. But there is a place we can start. So let’s explore what an appropriate kit looks like. I like to see these items in my ideal well-stocked first aid kit. Your kit may look different, but should generally include most of these items. Note: With few exceptions, quantities are excluded because they will vary with the size of the kit, and people served. This list is not intended to be all inclusive, nor the only list should you consult. A durable case – preferably with compartments for storage and ease of access. A good First Aid reference manual – as a reminder of practices and protocols. Gloves (latex or nitrile) – at least 2 pairs, to protect against contamination and pathogens. CPR barrier – to protect against disease transmission. Large absorbent dressings/AB pads (5”x9” or larger) – to stop or control bleeding. Sterile gauze pads, various sizes – to stop bleeding and dress wounds. Roll bandages, various sizes– to dress wounds. Ace™-type roll compression bandage – for sprains and strains. Self-adhesive bandages (Band-Aids™), various types and sizes – to dress minor wounds. Steri-strips (butterfly bandages) – for closing wounds. Adhesive tape – to dress wounds. Triangular bandages – for immobilization of dislocations and fractures. Cotton-tipped swabs – for cleaning wounds, applying saves and ointments. Bandage Sheers/EMT sheers – cutting bandages or victims' clothing. Tongue depressors – for checking throat issues and as small splinting applications. Tweezers – for splinter removal. Needle – to assist in removing foreign material. Penlight – for emergency lighting and for examination. Oral thermometer (non-glass) – to check vital signs. Syringe or squeeze bottle – for irrigation of wounds. Splinting material – for dislocations and fractures. 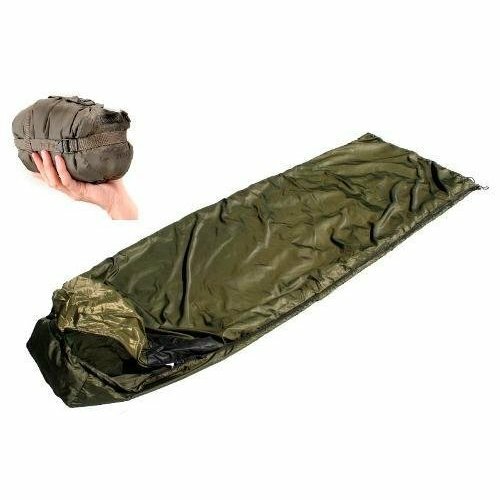 Emergency blanket – for warmth and treatment of shock. Instant cold pack – for treatment of hyperthermia, sprains, dislocations and fractures. Instant hot pack – for treatment of hypothermia and some stings and muscle strains. Bio bags – for disposal of gloves and medical waste. Eye cup – for aid in removal of foreign matter in the eye. Eye solution – for eye contamination and aid in removing foreign matter from the eye. Antibacterial soap – for cleaning wounds and hands after treatment. Antiseptic solution or wipes – to clean wounds. Antibiotic ointment – for wound treatment. Hydrocortisone cream – for stings and irritations. 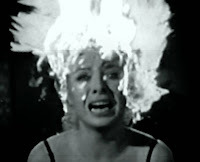 Burn gels and ointments – for treating burns. Burn pads – for treating larger burns. Ibuprofen – to reduce swelling and for patient comfort. Antihistamine tablets – for allergic reactions. Blood stopper powder – for stopping severe bleeding. Pen and index cards – for annotating victim’s vital signs. Hand sanitizer – when you can’t wash your hands with soap and water. Mole Skin – for treatment of blisters and abrasions. Separate complete Burn Kit – for treating multiple or very serious burns. Snake bite kit – for treating snake bites. Israeli Battle Dressings– one of the best on the market for serious trauma. Stethoscope – for listening to breathing and heartbeats. Cervical collar – to immobilize the neck from possible further harm. Foldable stretcher – for carrying victims unable to walk on their own. Blood pressure cuff – to determine victim’s blood pressure. Sutures – to close serious wounds. Hemostats/Forceps – for closing major bleeding vessels or aid in suturing. Automated External Defibrillator (AED) – to help with sudden cardiac arrest. Scalpel – for removing tissue, minor surgery. Blood borne pathogen kit – to assist in cleaning up. Surgical masks – to prevent disease contamination and blood borne pathogens. Eye shields / goggles – for eye protection. Asthma inhalers – for treatment of asthma. Nitroglycerin – for the treatment of heart patients. Aspirin – for treating heart patients. Sugar pills – for diabetic stabilization. Salt pills – for treatment of dehydration. Imodium – for treatment of diarrhea. TUMS – for gas and heartburn. Epi Pen – for treatment of severe allergic reactions. Eye drops – for tired or irritated eyes/contacts. Head lamp – for clearly seeing your work area. Instant (Super) glue – to close wounds. Tampons – for penetration or gunshots wounds and their primary function. Glasses repair kit – to repair broken eye glasses. Multi tool/Swiss Army knife– for multiple tasks. Insect repellant wipes – to keep the bugs away. Sun block – to prevent sunburn. Lip balm – to prevent chapped lips. Hand lotion – for dry and chapped hands and feet. Talcum powder – for treatment of rashes and foot care. Desitin™ ointment – for treatment of rashes and sore areas. Hair comb – for removing items from victim’s hair and for hygiene. Disposable razor – for cleaning treatment site or for personal hygiene. Duct Tape – who couldn’t find a use for it? Paracord 10’ – same as duct tape. Now that we have everything and the kitchen sink, what items would I consider to be essential to any kit no matter what size? Triangle bandage – has so many uses that it is a must have! Sling, bandage wrap, splinting wrap, bandana, hat, baby diaper, water filter, sarong, halter top, face shield, shade covering, blindfold, dust mask, tourniquet, pressure bandage, ankle wrap, foot covering, gloves, handkerchief, washcloth, wet and use tie around neck, belt, tie up a pony tail, basket, cold compress…Why do you think every cowboy wore a bandana? Self adhesive bandages (Band-Aids™) in multiple sizes – there really is no good substitute. Antibiotic ointment – secondary infection of a wound can be fatal. Sterile gauze pads (various sizes) – many things can be improvised to slow or stop bleeding, but to properly dress a wound, a sterile covering is vital. Now that you have gathered every conceivable medical essential, you will need a place to put it all. Ironically, your choice of container is almost as important as what goes into the kit. The size of the kit will be determined by several factors. Is it stationary, or will it be carried? Where will it be going? Where will it be stored? How much room do you have for the kit? Will its environment be wet or hot, or will it be jostled about? Here is a list of possible “non-standard” containers for your first aid kit. A few final thoughts: Rotate, rotate, rotate! Just like food on your shelf, some of your first aid kit supplies have a “limited” shelf life. With frequently changing and expanding information on expiration dates, I will not advise you when to discard your “out of date” ointments, creams, and medicines. But what I would like to address are those items that people don’t often realize have a limited life span. Gloves are notoriously short lived, especially in hot environments like a car, RV, or boat. Check them at least once a year and replace when necessary. It is very frustrating to be half way through putting on a glove when it tears, and if you’ve done this a couple of times, the cut on your victims arm may be the least of his worries! Another item with a frustratingly short life time is the self-adhesive bandage. As Band-Aids™ get older, heat and age tends to breakdown the adhesive and it loses its cohesive strength. If a self-adhesive bandage can't “stick,” it really serves no purpose. Another consideration, your kit is as good as your training. If you haven't taken a CPR/first aid course in a while, seek out a reputable instructor and take a comprehensive CPR/First Aid course. Also, once you assemble your kit, make sure it goes where you go. Like so many other aspects of preparedness, I follow the general rule, “It's better to have it and not need it than to need it and not have it.” Now that you have a well-stocked first aid kit or two…or three, seek out opportunities to use it. If you show up to the company picnic or a family function carrying your first aid kit, there will be a few who ask sneeringly, “Hey are you expecting a disaster?” but when they need a bandage for a minor cut, or burn cream for a child’s finger, to whom do you think they will sheepishly turn to? They will turn to you, the nut that brought the first aid kit. And as you become more comfortable using your first aid kit in life’s little misadventures, you will be better suited to handle a big emergency if it is ever thrown at you. Last, but certainly not least, is backing up your supplies. I keep large quantities on hand of most of the supplies I listed (Okay, well I sell first aid kits and supplies for a living, so I'd better have a few extra). If you have followed my advice and used your kits often, then you will occasionally need to re-stock. Having a larder somewhere to draw from makes the whole process easier. About once a year (more often if I’ve had a medium or large need), I will gather all of my kits into one place and do an inventory and re-stock my kits as needed. I gather them from my family's cars, the BOB, the 72-hour kit, the range bag, the RV, and anywhere else I have them, and re-inventory, re-stock, and rotate out long expired meds and non-sticky bandages. Many people assume that in a panic they may forget what they have learned and not be able to rise to the occasion if an emergency occurs. One of the things that I teach each of my classes is the Emergency First Response (EFR) axiom: “Adequate care provided is better than perfect care withheld.” If that is a little too esoteric for you, then how about a quote attributed to General Patton: “A bad plan today is better than a perfect plan tomorrow.” Or if that's still above your level of understanding, I like Larry the Cable Guy's “Git ‘Er Done!” Truer words have never been spoken. Freedom Award Finalist: "Threat Analysis: Bikers"